I have not yet managed to finish a book in the last week but I have two that I am very excited about and would love to share with you. I am currently about 5/6 of the way done with Outlander and about 2/3 done with The Young Elite, but this week, I have been trying to play catch up (and get ahead) on school work for NaNoWriMo which begins on Saturday. And as a result, I’ve fallen a bit behind on my reading, even at night before bed I’m only able to manage a chapter or two before I start nodding off. And in the interest of saving myself time, I’m going to put in the Goodreads blurbs for each books but I promise my own summaries when I get around to reviewing them (hopefully this weekend/next week). Outlander – “The year is 1945. Claire Randall, a former combat nurse, is just back from the war and reunited with her husband on a second honeymoon when she walks through a standing stone in one of the ancient circles that dot the British Isles. Suddenly she is a Sassenach—an “outlander”—in a Scotland torn by war and raiding border clans in the year of Our Lord…1743. What a rush this book is! I am so intrigued by the isles north of Europe that I can find endless fascination in every story that is told about them. Characters lost in time, even more so. Not to mention a kickass love story that knocks through several loops before tossing you back down to land on your head, no longer sure what the right choice is. Other than being rather long, the book is very enjoyable. Gabaldon is a creative and colorful writer and especially with her real Scotsmen language. So far, two big thumbs up! The Young Elites – “I am tired of being used, hurt, and cast aside. Wow, after Legend I didn’t think Marie Lu could get any better, but because that is possible, I think this series might be an even better one. It’s all about the darkness inside, the one that threatens to consume you and spill out onto the world. Most people can keep that in check but what happens when you can’t or at least no longer have to? There is less focus on the light (even the story is still about what is right/wrong) and it’s message is that much more powerful because of it. Adelina isn’t my favorite girl and she might lack temerity in compared to June (from the Legend series) but her twisted life is a story worth following and remembering. As a displaced New Englander, I often suffer from homesickness. I miss the fall and I can’t wait for snow. I miss my family and maple walnut ice cream. I miss the wet smell of the earth and the cold, cold October nights. I can’t wait to go home for Christmas. Because of this, I will find myself dialing my grandmother’s phone number, usually on Thursdays, and let her soothe me into relaxing. Usually I try not to cry on the phone with her but sometimes the tears track down my cheeks before or during. By the time our conversations is finished, I feel strong enough to go on with the next week or two. Other nights when the day has been particularly long or stressful and I’m feeling homesick but want to keep to myself, I will make a cup of tea. I have a variety of about 8-10 teas that I keep handy including 3 kinds of Sleepytime tea (one of my favorites). I will change into my pajamas as night falls, pull on my moccasins and walk out into the dimly lit kitchen. It’s usually pretty dark outside after dinner and by the time I want to make my tea. But I don’t mind, sometimes I only need a little light to feel cocooned in the darkness but not in a frightening way. So I’ll pull out a mug, select the tea, and heat it up in the microwave. I never let the microwave beep as I can’t stand the sound and after I let the tea steep, just listening to the other quieter sounds of the house after dark. The TV volume on low, the steady breathing coming from the bedrooms, the gentle hum of the fridge (often interrupted by the terrifying sound of the ice machine kicking on that scared me for the first month I lived here), and sometimes even the wind rustling the trees. When the tea is ready, I pull out the bag, give it a tablespoon of honey and a splash of milk and take my first tentative sip. If it is deemed well enough to drink, I discard the tea bag and take the mug back to my room where I relax and drink my tea in peace. The calming effects begin to take place almost immediately and soon my level of homesickness begins to decrease making my diaspora easier to accept. At least until the next day. I never thought about it like this before…I do like a nice, handy man. I have always sworn up and down and sideways that I will marry a man who loves to read. (Oh and he won’t be obsessed with football) I want to be able to share books and have this mind meld kind of thing going on with books……. I’m not so sure I want it to be that way any longer. Barnes and Noble’s blog just posted the 18 Unexpected Perks of Dating a Nonreader, and honestly, I pretty much go for every single one except for #16, but that’s only because I get car sick, so reading is not possible. I never thought much about all the advantages to being with someone who doesn’t read like I do, but wow, so many of these have crossed my mind that it’s not even funny. 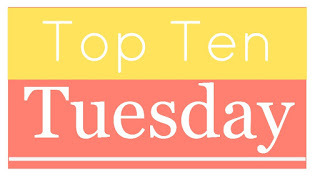 I decided to go a different way with the Top Ten Tuesday this week and instead of books or movies, I’m going to talk about dancing, specifically contra dancing. According to Wikipedia, Contra dance (also contradance, contra-dance and other variant spellings) refers to several partnered folk dance styles in which couples dance in two facing lines or a square. 1) It’s not hard to learn — there are about 10 basic steps that you need to know and after that, the dances are simply combinations of those and most events offer a “class” before the dancing starts to get newcomers acquainted with the moves. 2) It’s fun — I was almost completely sold on the idea but from the moment I stepped out onto the dance floor, I knew that I would be hooked. It’s better than clubbing because people aren’t drunk messes and you get the opportunity to dance with experienced partners which enhances your adventure. 3) It’s social — you can meet a bunch of new people, even if you only remember a couple of names, laugh, and have a good time. 4) It’s interesting — it’s the same series of moves for one song and each new song is a new dance, which they go thru once or twice slowly so you can learn it, allowing the night to maintain it’s level of awesome. 6) It has music – who doesn’t love to listen to live music? It’s a little bit down home country but that just makes it more authentic and even better. Fiddles? Yes, please. 7) It feels like you’re in a Jane Austen movie — and haven’t you always wanted to be in one of those? Twirling dresses, men who know how to dance, and laughter with your girlfriends. 8) It’s inexpensive — on average, it will put you back about $10 plus whatever gas you used to get there. Definitely cheaper than a night out in a club or even going to a movie. 9) It’s different — movies, dinner, and clubbing can be great but is that really what you want to be doing every weekend? Probably not, especially if you’re more introverted or in the 25-45 age range. Sure there are nights to sit at home and Netflix binge or cuddle with your dog/cat but it’s nice to get out too. 10) There are few restrictions — you can customize the dance to your preference and skill level, add you own twist and flavor to make the dance yours, an experiences partner can help with this. So what are you waiting for? 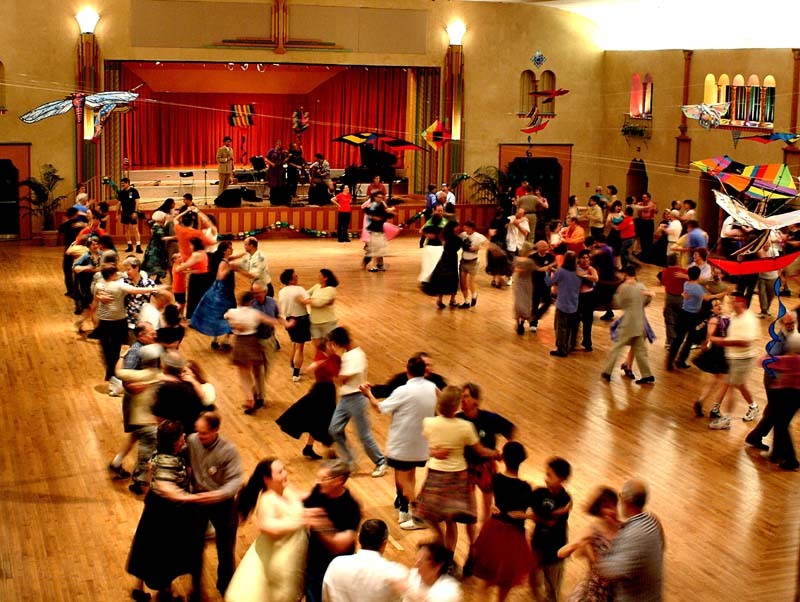 Check out the links below (or search for your own) to locations of contra dancing near you! It’s Monday, once again, but I definitely don’t have the Monday blues. Quite the opposite, in fact. I’m rather excited that it’s Monday because this is going to be an exciting week. Last Friday, I managed to take about 24 full hours off from school work and as a result, I am feeling very refreshed and ready to buckle down once again. I also went out dancing (which I love to do) but it wasn’t a typical club night. Instead, one of my classmates got a few of us together and we did something called contra dancing. Think of it like being in Meryton Town Hall for the local assembly in Pride and Prejudice, the Keira Knightley movie version. It was a lot like that and in fact, I found myself never without a partner and in great need of a dance card. And of course, this week I don’t have any major projects due and I’m already ahead on my reading for the week. And I plan to get even further ahead! But there is a very special reason why. This coming weekend is not only Halloween (on Friday) which means I will be lounging around and handing out candy as needed, but I will also be going to a rummage type sale (where I hope to find lots of books) and a fun Halloween party on Saturday. But more importantly, Saturday is November 1. 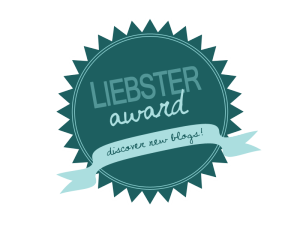 And if you’ve been following my blog, you will know that that means. 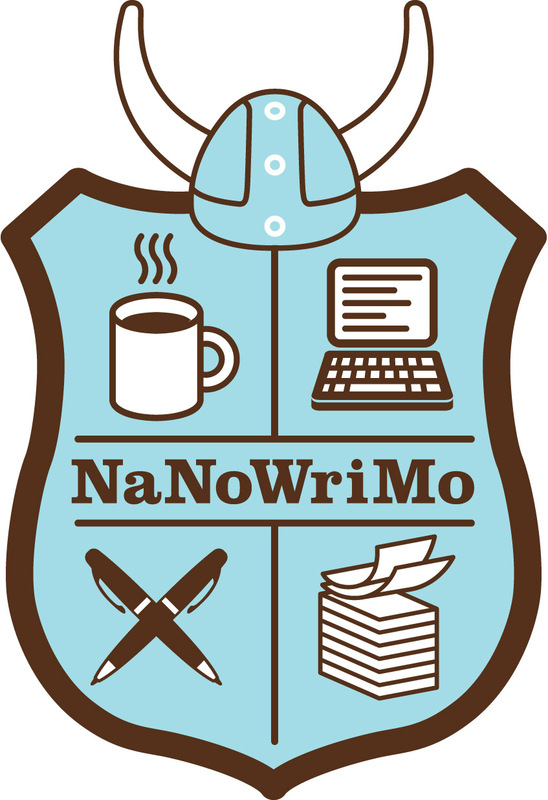 It marks the opening of NaNoWriMo!!!! I’m planning on buckling down to write at least 4,000 words over the weekend, and I’m hoping for more. I might even stay up late on Friday to get a jumpstart on the midnight opening! I’m so excited to add this to my ever-growing to-do list that I’m not even that worried about it. It means that I won’t be able to slack off after I come home from class for the next couple of weeks but I’m totally okay with that because it might just put me one step closer to getting published; a goal that I am aching to accomplish.